The patchwork of new European permissions regimes could reduce the risk that U.K.-based entities will be unable to trade with E.U. 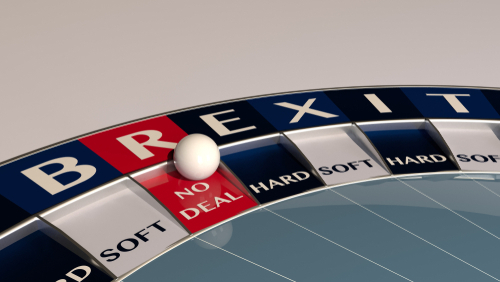 clients on day one of a no-deal Brexit, but it is not a long-term solution, regulatory experts say. “Most E.U. member states have now put in place some kind of temporary permissions regime, which makes it increasingly possible to carry on trading at least for a limited period of time through UK entities in Europe,” said Tamsin Rolls, assistant general counsel in JP Morgan’s derivatives team, speaking on a panel at the International Swaps and Derivatives Association’s annual meeting in Hong Kong today (April 10). BrexitChris BatesClifford ChanceDerivativesEuropeISDAJP MorganTamsin RollsU.K.